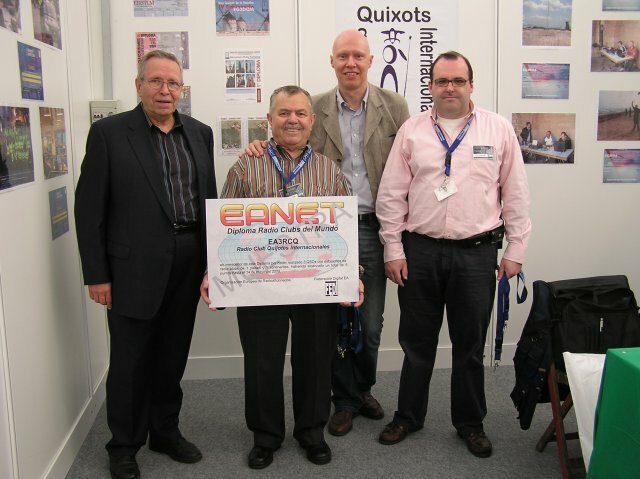 Exemple: uk5Rib, ea2Ald, dg3Dw, it1Ih, vo5Oc, etc. The contacted/heard stations must be from different countries, without repeating any country. The log with the contacts making up the above sentence must be submited, specifying: callsign, date, time, band, mode and RST. Electronic: completely free of charge, the applicant will receive the Award by email as an attachment, that can be stored on your disk or printed on A4 size (210 x 297 mm). Paper: if you prefer to receive the Award by mail, you must send to us the amount of 5 euros or U.S. $ 5 for shipping. 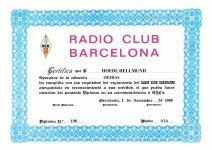 Valid contacts are since October 22, 1979, founding date of the Ràdio Club Barcelona.